Renew your AFSA membership quickly and securely on-line now. SEARCHING FOR AN AFSA CHAPTER NEAR YOU? ​Watch the New AFSA video now! More Than Just Our Name! With 7 Divisions and 129 Chapters across the globe, we’re excited to have ​this opportunity to highlight the amazing things our AFSA members accomplish within their own communities. 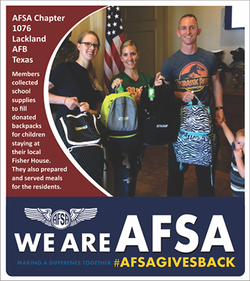 We are AFSA and we love to give back! Former Chief Master Sergeant of the Air Force Robert D. Gaylor was adviser to Secretary of the Air Force John C. Stetson and Chiefs of Staff of the Air Force Gen. David C. Jones and Gen. Lew Allen Jr. on matters concerning welfare, effective utilization and progress of the enlisted members of the Air Force. He was the fifth chief master sergeant appointed to this ultimate non-commissioned officer position. In 2006, the NCO academy at Lackland AFB was named the Robert D. Gaylor NCO Academy in his honor. your email or PM on Facebook. - Photo submissions must be of good quality and HIGH RESOLUTION images! photograph (from left to right). ​​As a member of our Association, we know you are devoted to our overall success, and we urge you to Share the Gift of a ONE-YEAR MEMBERSHIP with someone YOU love! EMAIL: Each quarterly/seasonal edition of the AFSA eMagazine is emailed to all members using their email of record. To ensure you receive the AFSA eMagazine, please update your current membership information to include your PERSONAL (not. mil) email address. ONLINE: Each quarterly/seasonal edition of the AFSA Magazine is shared online through our website, Facebook pages, Twitter and Instagram accounts @AFSAHQ. SUBSCRIPTION to MAIL: Beginning with the Winter 2019 edition, the AFSA Magazine is once again available as a printed and mailed Subscription. 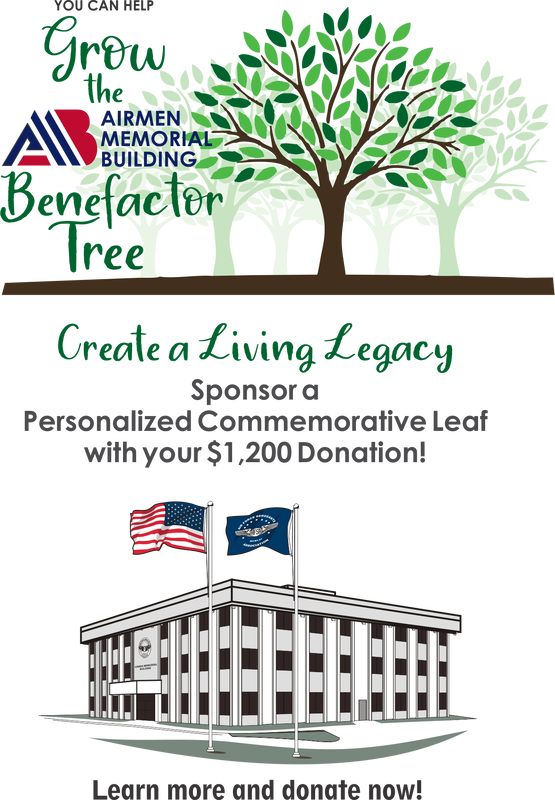 AFSA Debt Destroyer Educational Program.